One of the challenges researchers face is knowing whether they are consulting the most up-to-date version of an article or research. At Elsevier, the editors of our journals work closely with authors and reviewers to ensure that articles have been thoroughly checked prior to publication. However, despite the most careful scrutiny, corrections, updates and errata, as well as retractions and withdrawals, are sometimes necessary. The challenge is that many versions of the article may still exist out on the web. To combat this problem, Elsevier and other STM publishers have banded together with CrossRef to create the CrossMark identification service. By clicking on the CrossMark logos in online PDF or HTML documents, readers can quickly learn the current status of a document. If the one they have opened is not the most up-to-date, the logo will help them navigate to the most recent version available. 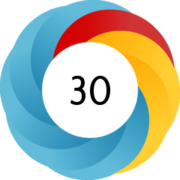 Publishers will display the new logo on journal content that has been assigned a CrossRef DOI. It will only appear on final published versions, not on Articles in Press. Readers simply need to click on the logo and, if they are connected to the internet, a pop-up box will appear showing the current status of the document. This will work whether the reader is on the publisher's website, a third-party site or is viewing a PDF downloaded at an earlier date. The most common pop-up will be the message that the document is still current. Occasionally, however, readers will discover that the document has updates, and a CrossRef DOI will link to the update on the Publisher’s site. At Elsevier, we are aiming to roll this service out to all our journals. We began piloting it with 40 journals at the end of September and plan to roll it out to 1,250 of our 2,000 journals by the end of the year. Some journals have unique requirements, and publishers will be reaching out to those journals’ editors to discuss these in the coming weeks and months. 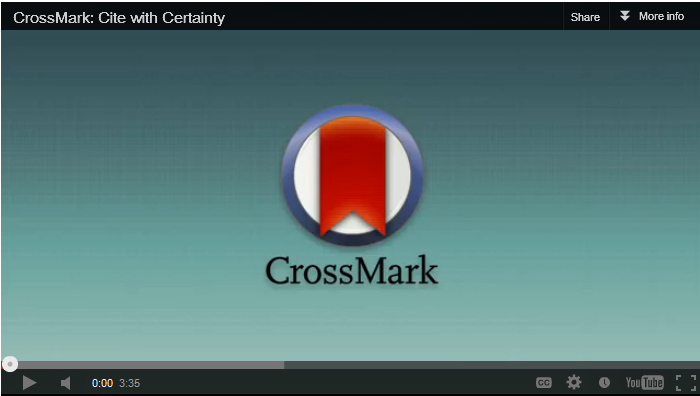 CrossMark offers a significant benefit to researchers. 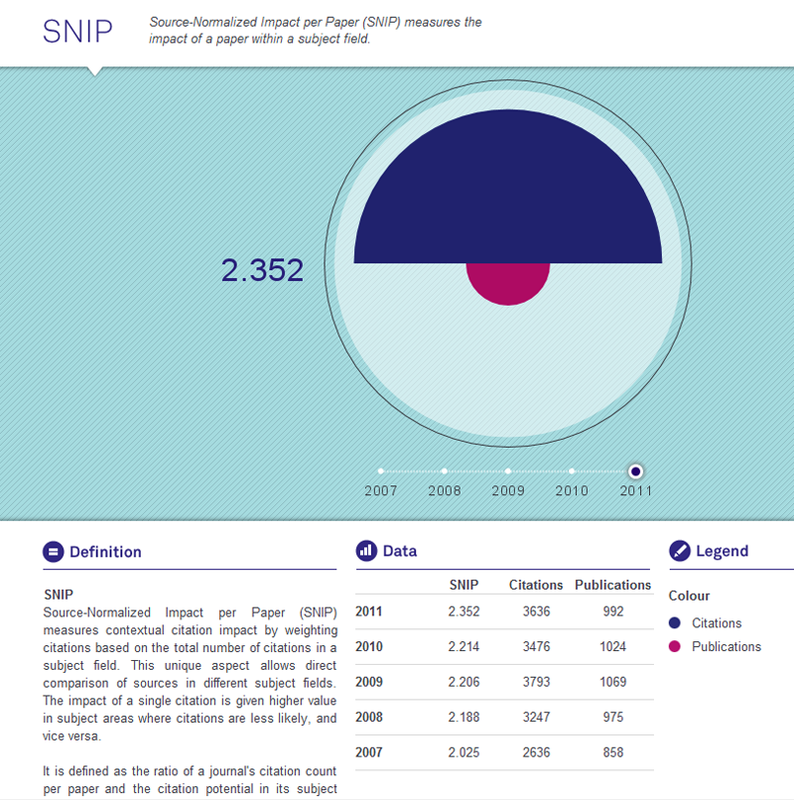 Not only does it create a standard across scholarly publishing for recognizing changes, it can also highlight important publication record information, such as publication history, the location of supplementary data, access policies, funding sources and peer-review processes. As Director of Publication Process Development, Dr. Egbert van Wezenbeek has been responsible for leading the CrossMark project at Elsevier. Overall, he is responsible for the design, development and implementation of improvements to the publication process of Elsevier's journal articles. The aim is to improve the experience of authors, editors and reviewers in their interaction with Elsevier and its systems, and to adapt and innovate processes to add more value to published articles. Dr. Van Wezenbeek has been working with Elsevier for more than 20 years in various publishing roles. He has a PhD in theoretical chemistry from the Free University Amsterdam. This is great, and just what my organization has been looking for. We can't wait for the rollout. Thank you for your positive comment! 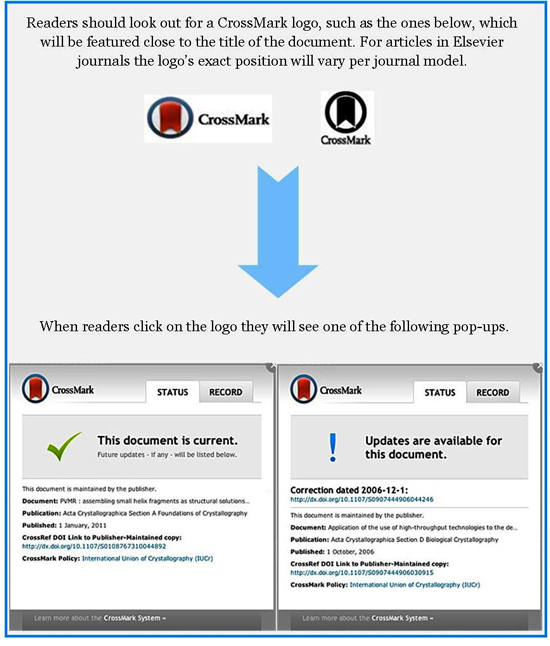 I am pleased you and your colleagues find CrossMark useful; our roll out is progressing steadily, the publishing contact for your journals will reach out in the not too distant future.